Dr. Shaikh is passionate about Internal Medicine and working closely with his patients across the Arlington-area to help them achieve their optimal health. 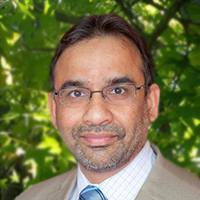 Dr. Shaikh went to Liaquat Medical College in Karachi, Pakistan, and received his DO degree from the New York Institute of Technology in New York, NY. He then completed his post-doctoral residency training at the Virginia Commonwealth University in Richmond, VA.